Site Title & Tagline: Get started by giving a suitable title and a purposeful tagline to your weblog. The tagline setting is set to teh standard wordpress tagline by default and must be configured when you are setting up the blog (as this isn’t shown during the installation). The title and the tagline act as the identity of your website and play a major role in brand-building. Take your time to decide and finalize the title and the tagline of your website. Membership: Membership opens your site for registration. This can help you build a community of your website. By default it is not selected. If you enable the setting, it will allow people to register on your site. Time Zone & Date-Time Format: You can configure the time zone and date-time format as per your requirement. Comes very handy when you want to schedule the posts. Size of post box: The default size of the post content textbox is 10 lines; which can be changed to your preferences. Enter the number of lines for enlarging or shrinking the size of post content textbox. If you have a large screen you can set it to 25 or 20. Formatting: It consists of two checkboxes. One for changing the textual emoticons on your post to the graphical ones and the other one for validating XHTML code. While the first setting turns special characters into emoticons, the second one corrects incorrect html markup and keeps your content from breaking the theme or the site layout. It determines how your site or blog will appear from the visitors perspective & the way other people will interact with your site. What your Front page will display: With Front page display, you can decide what you want to show on the front page of the site. 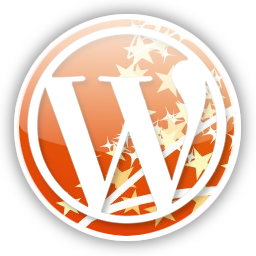 By default wordpress shows the latest blog posts on the site. However if you want to draw visitors attention to some custom content (like the products you sell or a landing page etc.) you can create a page and set it as the front page here. In this case the latest blog posts will have to be moved to a different page. Number Of Blog Posts To Show At Most: This setting lets you decide on the number of posts to be displayed on your home page or blog page. The Number Of Feed Items In The Feed: This setting allows you to set the number of items which appear in your site’s main feed. If you are a frequent poster you may want to show more items and if you post less frequently you can set this to a lower number to show only the latest items. The Content Of The Feed: This setting determines whether the feeds will include the entire article or just the summary of the post (the first few words of the entire post). Privacy settings are really important. It controls the visibility of your blog to the search bots i.e., whether you want your blog to be visible to search engines including archives or not. If your website is down for some maintenance you can toggle these settings to disable indexing of your site. The most important of all the settings is the permalink. Permalink is the URL generated from the title of your post; which shows up when the pages are indexed by the search engines. This really comes in handy for SEO and helps the site rank better in search engine results pages. You can get more informastion at WordPress.org and for the ones who wish to have a quick review of how to get started with a new blog can check out The Ultimate Blog Startup Checklist.